Social media outlets have provided companies with unprecedented access to consumers, while also exposing them to new risks. When Jason Marker, the new chief executive of the company that owns Carl’s Jr. and Hardee’s, met with several of his marketing executives last week, one of his first requests was for screens to be installed in the company’s headquarters to display real-time social media conversations about its brands. It is the sort of setup that exists at the advertising agencies representing Marker’s company, CKE Restaurants, and that the company has built internally for events like the Super Bowl, said Brandon LaChance, director of advertising and digital marketing for the chains, who was at the meeting. But now, he added, that information will be available daily to the whole company, which is based in Franklin, Tennessee. The request by Marker, just days into his new role, underscores how seriously the highest levels of corporations are taking social media, which has provided brands with unprecedented access to consumers while exposing them to new risks. The perils were on full display this month as United Airlines and its chief executive dealt with the catastrophic fallout from a video showing a paying passenger being violently dragged off a flight, and as Pepsi was castigated for a tone-deaf commercial that invoked imagery from the Black Lives Matter movement. In each instance, consumer outrage was amplified after initial responses from the companies were viewed as too slow and unapologetic. Crises that play out on social media are increasingly being viewed as threats to a company’s profits instead of short public-relations episodes, said Leslie Gaines-Ross, chief reputation strategist at the public-relations firm Weber Shandwick. “One tweet, just one dangerous tweet, can really impact your share price,” Gaines-Ross said. Weber Shandwick uses a tool to simulate crises for executives, inventing a plausible firestorm, then running a drill exposing them to a litany of “challenging media inquiries, news articles, social channel conversations and videos as you witness the immediate implications of your responses (or non-responses),” according to a description online. These instances are not limited to social channels. The United video has been reposted on Twitter more than 170,000 times and has circulated well beyond that on television broadcasts, news websites, YouTube and Facebook. 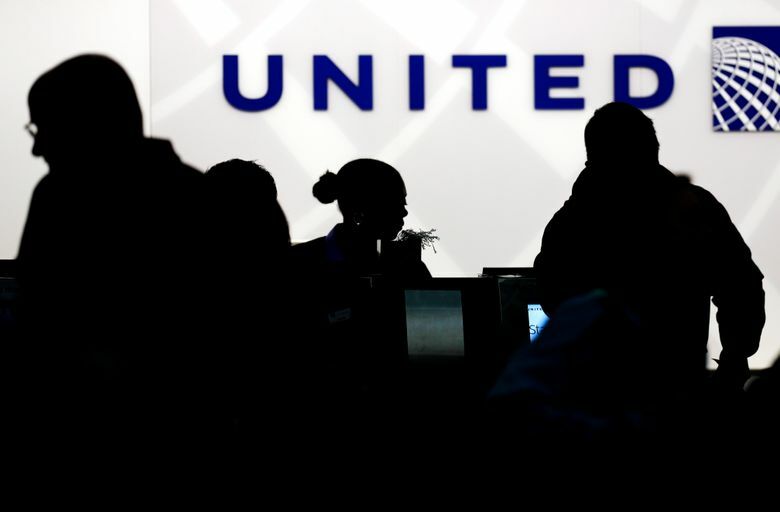 Oscar Munoz, chief executive of United, has been criticized for not making a full-throated apology for days after the incident. In recent months, companies have been girding themselves for social media grenades, whether it is critical Twitter posts from President Donald Trump, or campaigns from socially and politically conscious consumers holding brands to account for where they advertise, including on “The O’Reilly Factor,” “The New Celebrity Apprentice” and Breitbart News. Maryam Banikarim, Hyatt Hotels’ chief marketing officer, said that while most executives outside the marketing department have long been aware of the impact that social media interactions can have on their companies, the presidential election drove the point solidly home. Hyatt monitors its social networks and mentions of its brands around the clock, usually responding to people in less than 10 minutes, Banikarim said, adding that employees are trained to respond to everything and to be aware that all interactions are public. “It used to be that consumers interacted with you through call centers or they wrote you, so it was a one-on-one communication,” Banikarim said. “Now, you may be responding to one person’s Twitter, but everyone is seeing it, so you have to be conscious you have a public audience.” That includes private messages, she said, noting screenshots can be taken and shared. Unilever, the consumer-goods giant, relies heavily on deep analytics and powerful language-processing tools to understand the “tsunami” of data it sees from social media, said Stan Sthanunathan, its executive vice president of consumer and market insights. He said 25 percent of his team now works with social media, compared with 5 percent two years ago. The tools used to monitor social media have evolved vastly from their early days as “very blunt instruments of listening,” when they simply measured the volume of mentions or general sentiment without context, LaChance of CKE Restaurants said.